The U.S.S. Discovery will get to fly on…CBS All Access has renewed Star Trek: Discovery for a second season. The first season so far as broken all subscription records for the streaming service, following the crew of the Starfleet ship while one crew member seeks to understand herself. Six episodes have been released so far, with three more to go before taking a break, and the final six to be released starting in January. Jodie Whittaker will not be flying in the TARDIS alone this coming season, of course, and now we know who will be on board with her. 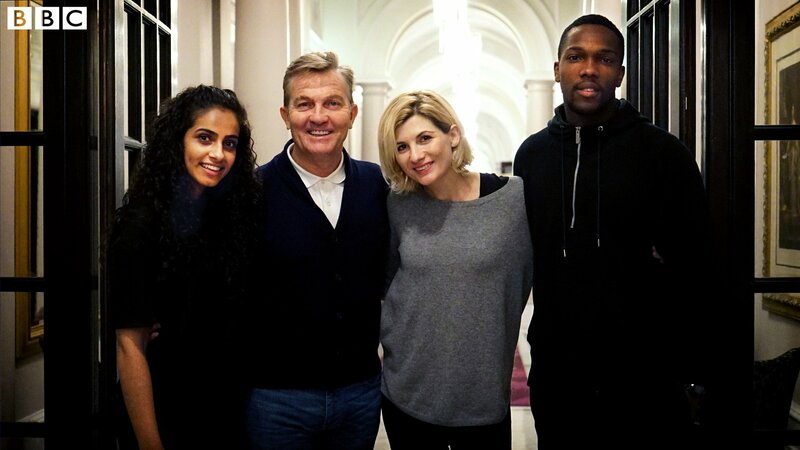 Bradley Walsh (Coronation Street, Law & Order: UK), Tosin Cole (Star Wars: The Force Awakens, Hollyoaks), and Mandip Gill (Hollyoaks, Doctors) will all be joining the Doctor when Whittaker takes over the role. No backgrounds were given to the characters except their names: Graham, Ryan and Yasmin, respectively. 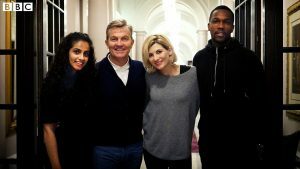 Also joining the cast but not pictured is Sharon D. Clarke (Holby City), in an unnamed role. So the young Han Solo Star Wars anthology film finally has its official name. And I think everyone guessed what it would be, given its similarity to it’s predecessor, Rogue One: A Star Wars Story. Stargate Command, the new online home for all things Stargate, announced that Ellie Gall (A Midsummer’s Nightmare) will take on the starring role of the young Catherine Langford in the upcoming event series Stargate Origins. Connor Trinneer (Star Trek: Enterprise), who had a recurring role in Stargate Atlantis, will return to the franchise to play Catherine’s father, Professor Paul Langford. HotShot Trailer: Star Wars: The Last Jedi Trailer 2!